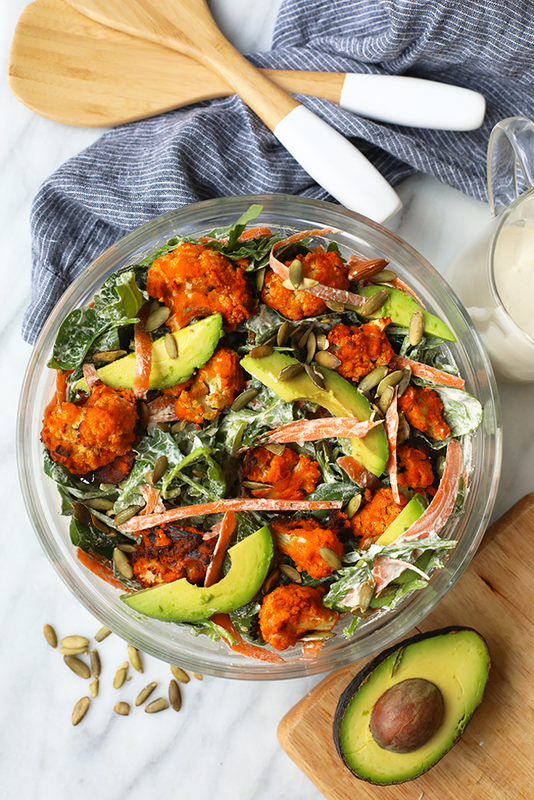 Are you ready for the most legit Vegan Buffalo Cauliflower Salad on the planet? This delicious, plant-based recipe is straight out of the Inspiralized and Beyond Cookbook. It’s made with roasted buffalo cauliflower bites and a homemade vegan ranch dressing. Yes, please. This salad though. 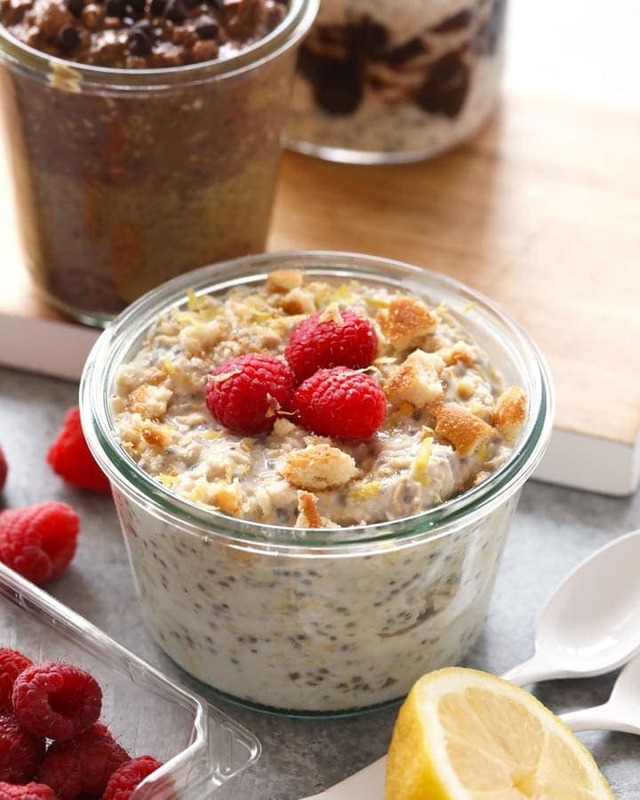 I can’t even it’s so perfect in every way…packed with plants, healthy fats, and GREENS. Did I mention the homemade vegan ranch dressing? It’s really the cherry on top to thisepicallyy flavorful buffalo cauliflower salad. Happy cookbook launch day to my dear friend Ali from Inspiralized. Many of you already know who Ali is, but if you don’t, let me give you a quick rundown. 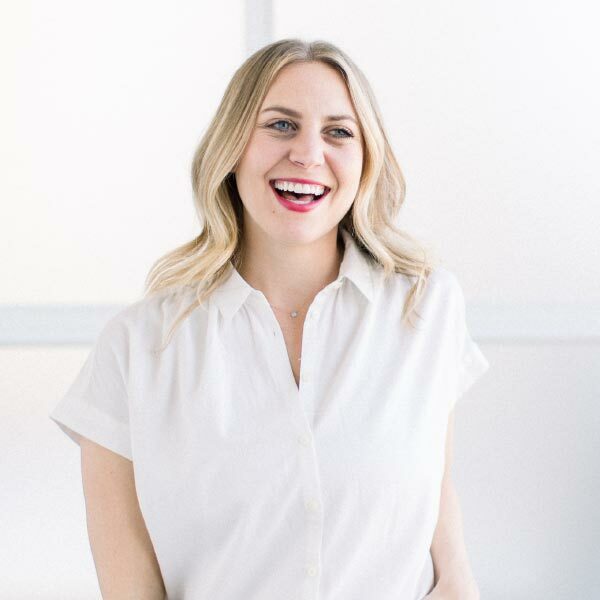 Ali is the founder of the famous food blog and brand, Inspiralized. Think all things healthy and all things spiralized. She runs a second lifestyle website called Allisandra B., where she goes more in-depth on her own wellness journey, talks business, and family. She has authored 3 amazing cookbooks (Inspiralized, Inspiralize Everything, and Inspiralized and Beyond) and is also the founder of the popular kitchen gadget, the Inspiralizer. Did I mention she has impeccable style, her hair is adorable, and she’s major mom/entrepreneur goals? Today her third cookbook, Inspiralized and Beyond release to the public and I’m in love. 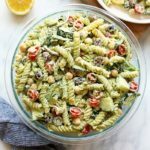 It’s been so cool to see Ali’s creativity shine through her Inspiralize-only cookbooks, but she really got creative (beyond inspiralizing) in this new book. 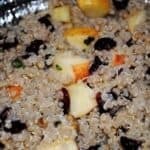 She really does flavor combinations well and makes healthy cooking approachable and delicious. I got to choose one recipe to share from inside of the book and obviously, I gravitated immediately towards the Buffalo Cauliflower Salad. You guys know how I feel about Buffalo. I LOVE IT. Our Buffalo Cauliflower Wings are one of our most popular appetizer recipes AND Linley is the buffalo chicken wing kween. When in doubt order the wings (cauli or chicken). This salad did not disappoint. It’s 100% plant-based and vegan, which I loved. It even came with a homemade vegan ranch dressing recipe, which is NOT to be skipped. 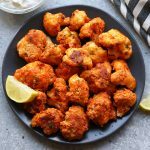 Ali’s buffalo cauliflower is pretty simple to make. Instead of frying these little babes, you actually roast them. And, there are no eggs involved in the wet wash for those that can’t do eggs or are vegan! Once you’ve got the cauliflower florets nice and crispy, it’s time to toss them in a delicious buffalo sauce made with 2 simple ingredients – Franks + coconut oil. My classic buffalo sauce recipe includes a little bit of maple, but you can totes go sans maple just like the recipe. Make the cauliflower. Preheat the oven to 450 degrees. Line a baking sheet with parchment paper. In a large bowl, whisk together the almond milk, almond flour, garlic powder, onion powder, cumin, paprika, salt, pepper, and ½ cup water. Add the cauliflower and toss to coat, making sure to get the batter into all the crevices. Place the cauliflower florets on the prepared baking sheet and roast until browned in spots, about 20 minutes. Remove from the oven, but keep the oven on. In a separate large bowl, whisk the coconut oil with the hot sauce. Add the hot cauliflower and toss to coat. Replace the parchment paper with a clean sheet. Return the cauliflower to the baking sheet and roast for about 20 minutes, until the sauce is browned. Meanwhile, make the ranch dressing. In a high-speed blender, combine the cashews, almond milk, garlic, lemon juice, vinegar, and mustard and blend until creamy. Season with salt and pepper. Make the salad. Pour ½ cup of the dressing into a clean large bowl. Add the spinach, carrots, celery, and avocado and toss well. Divide the salad among four plates and top with the Buffalo cauliflower and the pepitas. Drizzle with more of the dressing and serve, passing any remaining dressing at the table. 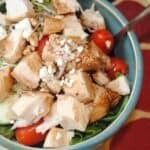 TIP: If you’re not strictly dairy-free, add crumbled blue cheese to this salad for a more authentic Buffalo chicken experience. Don’t forget to follow Inspiralized on Facebook and Instagram. And…BUY HER NEW BOOK, Inspiralized and Beyond (now on sale on Amazon! ).